Most people think of hallucinations as something only experienced by the extremely mentally ill, such as those with schizophrenia, or the realm of those who are using a lot of very powerful drugs. However, while hallucinations can happen for those reasons, there are many other ways that they can happen as well. We also tend to think of them as something to be entirely feared, or something at the very least to be ignored, but some cultures around the world actually have a more positive view of these experiences. Hallucinations are a very strange experience where our brains confuse the location of sensory input, and there is still much to learn about them. Most people tend to think of hallucinations solely as something that you see, or hear. Most people really give no mind to the idea of a tactile hallucination, or one that is entirely a feel based hallucination. However, this type has become incredibly common in recent years, due to the rise of cell phones. Ever since the “vibrate” function has existed in order to allow us to know we are being messaged without making noise, the problem has begun and started to worsen. Many people who have never had any reports of mental illness have reported feeling phantom cell phone vibrations, and it is now a widespread phenomenon. In a study at the Georgia Institute of Technology, 90% of students reported feeling phantom cell phone vibrations, where they frantically checked their phone only to realize the vibration hadn’t actually occurred. 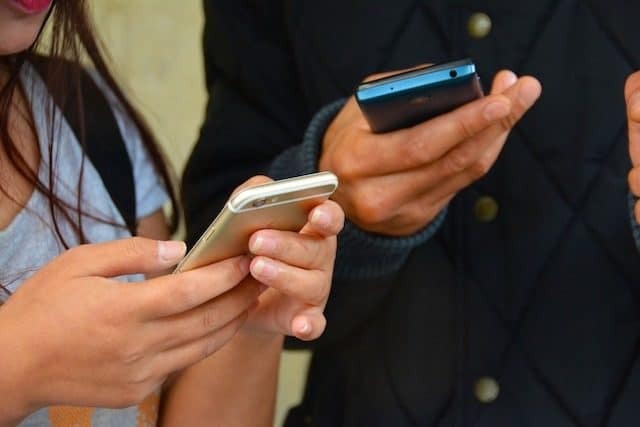 The professor in charge of the study, Dr. Robert Rosenberger, believes that this hallucination occurs because people become so attached to their phones that mentally, it essentially becomes part of their body. 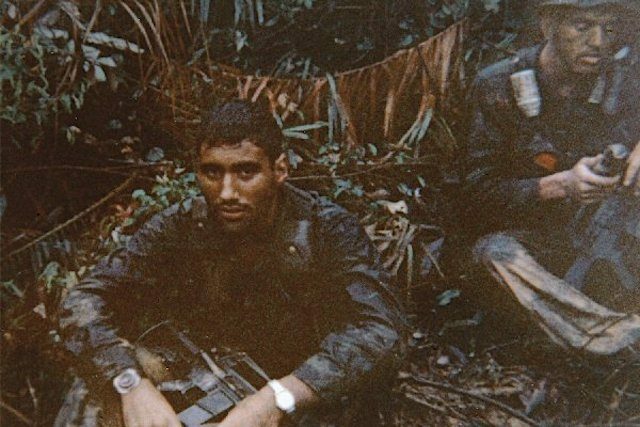 PTSD, short for Post-Traumatic Stress Disorder, was once known as shell shock and considered by most people to be something that was only obtained by soldiers fighting in wars. Now, most people understand that PTSD can occur in anyone who has a really serious, traumatizing experience, especially if the trauma is not properly dealt with at the time. Many people will also talk about PTSD sufferers dealing with something called “flashbacks,” and media will use this for plots where the person with PTSD doesn’t recognize the people around them, because they are supposedly so caught up in the past memory. This kind of inability to have any clue what your surroundings are is pretty rare and likely involves other underlying mental illnesses. What most people with PTSD are often dealing with is a sort of hallucination often referred to as a flashbulb memory. These are intrusive memories, often visual, that will pop into the sufferers head and remind them of their experience. These memories can be triggered by all kinds of random things, and then can be difficult to get back out of the mind again. If triggered at a bad time, especially because of a bad dream, the experience can feel insanely real, as if it just happened again. This can cause extreme anxiety in those with PTSD, which is often the main symptom they have to deal with. Some people will simply never be interested in taking any mind altering drugs, and they are also perfectly mentally healthy. They might imagine that they would never hallucinate in their lives, but the truth is that it is far easier to hallucinate than people might think. What it comes down to is the nature of hallucinations. In essence, they are your brain confusing itself into thinking that something coming from inside is actually coming from outside. When you think about it, simply wearing your brain out and making it more tired is going to make it far easier to get confused. This is why some people who are completely drug free will often take several days with very little sleep and start occasionally seeing things, or having other altered perception. In fact, for those who have stayed up for multiple days at a time while they were young, most have probably reported a surreal feeling where the world doesn’t seem quite right. Of course, it’s not necessarily good for you to stay up in order to hallucinate – your brain needs to regularly rest and recover. 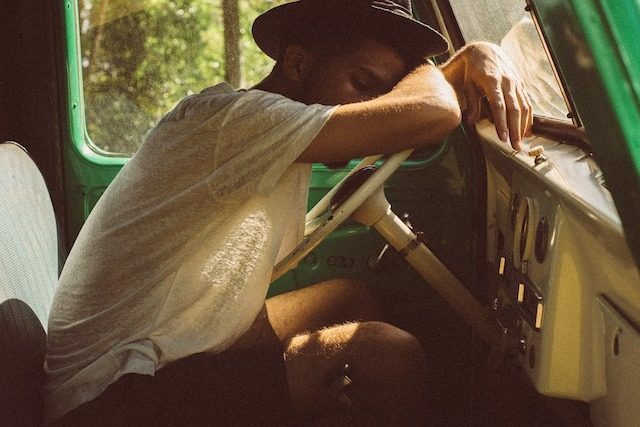 If you are hallucinating from lack of sleep, your brain is probably tired. In a study in the British Journal of Psychiatry, 60 adults with schizophrenia were interviewed across three countries: the United States, Ghana, and India. The idea behind the study was to learn how different cultures viewed their experiences with hallucinations – they picked sufferers of schizophrenia because it was an easy way to get a group of people guaranteed to have regular hallucinations. The interviews gave an interesting insight into how different cultural thinking changes how hallucinations are not only thought of, but how they are actually experienced. 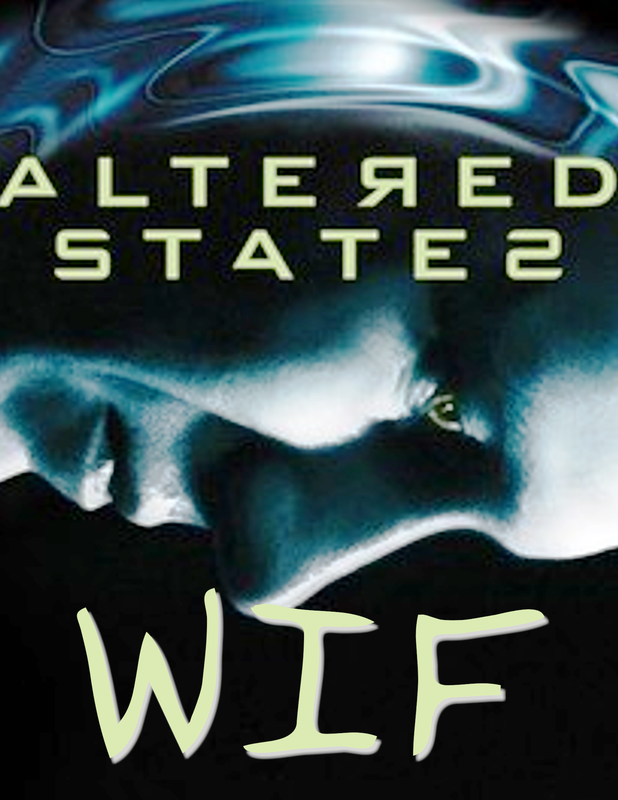 Those interviewed from the United States tended to have very negative and gross hallucinations – stuff about blood and torture; really nasty stuff. However, those from India and Ghana reported their hallucinations as positive. Instead of viewing them as evidence of demons, they thought of them as friends or deceased family members talking to them and giving them advice. One of them even suggested that he needed no friends because he already had a great companion to talk to. When most people hear someone talking about using a drug for “religious purposes” they tend to laugh and shrug it off, because it is usually some stoner trying to justify the fact that he drops huge amounts of acid, and then eats Cheetos while watching TV all day and not moving from the couch. This should be no surprise, then, that when many people are informed of the fact that Peyote – a hallucinatory substance – is legal on Native American reservations, they think that the natives are just using it to get high all the time. However, the truth is that while some Native Americans have developed a regrettably dangerous alcohol habit, Peyote is not and was never a drug of vice. In fact, the Native Americans went to great lengths to keep the use of Peyote approved on reservations because it truly was part of religious ceremonies. 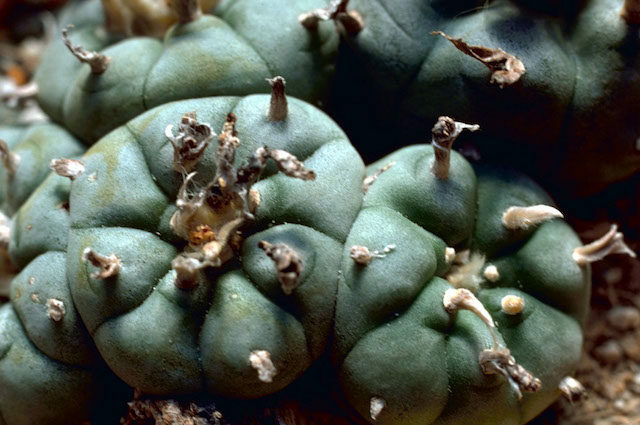 A ceremony involving Peyote could have the tribe members in attendance ingest it and then pray and focus on an altar, taking part in a religious ceremony all the way from dusk till dawn. It is an aid for very long bouts of worship – not a way to casually get high. 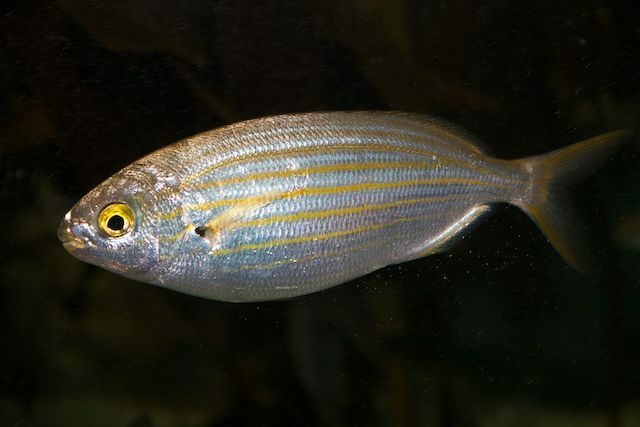 Some may have heard of a fish that was once used to cause hallucinations, and just figured it was overfished… or otherwise people would be using it all the time. However, there is a reason that people don’t tend to try to use Sarpa Salpa in order to see the universe. The problem is that while ingesting this fish can cause you to hallucinate, the hallucinations are known to be almost universally unpleasant, come with awful nightmares attached, that last for days at a time. These fish are actually fairly popular in the Mediterranean, where they are served carefully to avoid giving you the slightly poisonous parts that make you see strange things and have horrible dreams. However, if you were to come across the fish in the ocean and eat the wrong parts without knowing, you might be in for a big surprise. The fish has been found in waters far from its usual native source, and people have been hospitalized in the past after ingesting the fish, followed by days of horror. Many people look back at the Salem Witch Trials and think of them as an example of the problem when religious extremism goes too far. Even today the town is a thriving center of commerce that now welcomes witchcraft as a sort of permanent apology for what occurred so many years ago. However, a Behavioral Psychologist named Linnda Caporael, of New York’s Rensselaer Polytechnic Institute, has been studying the trials of Salem and the history behind it and is convinced that there is a completely different cause. 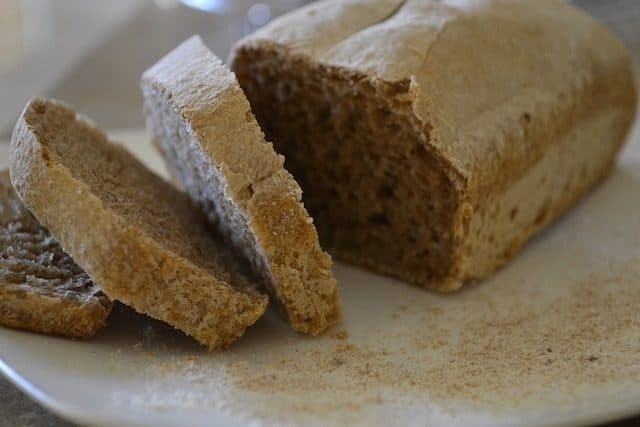 A certain kind of rye bread that was incredibly popular and a staple grain in the part of Salem where those who were making the accusations hailed from, can easily create a substance similar to LSD when the right molds are formed. According to Caporael, the conditions for this mold were perfect during the time of the Salem Witch Trials. She also notes that many of the symptoms the accused were reporting were very similar to those of Ergot poisoning – the natural hallucinatory similar to LSD. This included symptoms like hallucinations, vomiting, crawling sensations, muscle spasms and other things that fit the mold almost perfectly. It is quite possible that the Salem Witch Trials were not a case of religious fervor, but of very extreme food poisoning. Migraine sufferers are rarely thought of as people who would hallucinate, but it is very common for those with a migraine to see something known as an aura, often shortly before a migraine attack actually begins. While it doesn’t occur to all those who have migraines, it does seem to occur the same way to all those who suffer from them. Those who see auras before a migraine usually report seeing a sort of jagged shape of light obscuring part of their field of vision. The strength of the aura usually fades fairly quickly, but something called a scotoma often lingers for a while. This scotoma is where, for a brief time after the aura, your field of view will be partially obscured in a shape similar to the jagged shape seen when you saw the aura itself. While scientists have come a long way in understanding the brain, they still do not entirely understand the mechanisms behind these hallucinations, or for that matter entirely why migraines happen in the first place. Scientists are mostly convinced that migraines start from the brain, and many think they may have some connection to epilepsy, but there is still much to learn. 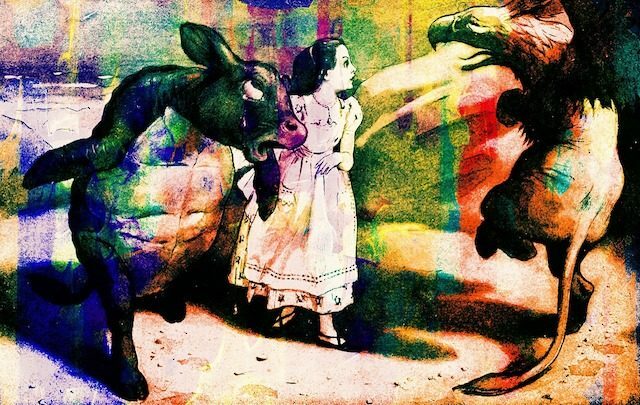 Alice in Wonderland Syndrome, also known as AWS, is a strange neurological disorder where people will distort the shapes of things around them. This can cause them to think their hand is huge, or their foot very small. They could think that the wall is very far away, or the bookcase is gigantic – very much like how Alice’s perception is quite confused while she is in Wonderland. Scientists have long been baffled by this condition because they have had trouble finding any kind of direct answer as to why some people suffer from this. Finding a genetic link has been difficult and some people seem to grow out of it over time, with some even obtaining the disorder again years later. Some have posited that it may have something to do with epilepsy, and have tried to find a genetic link, but with so few people with the disorder, it has been impossible thus far to put together any compelling evidence. 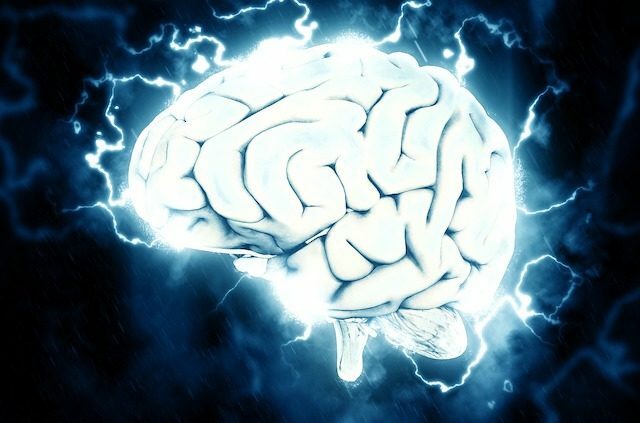 Right now the best guess researchers have is that AWS, migraines and epilepsy are all connected, but the subject of brain disorders is still a very mysterious field in many ways. 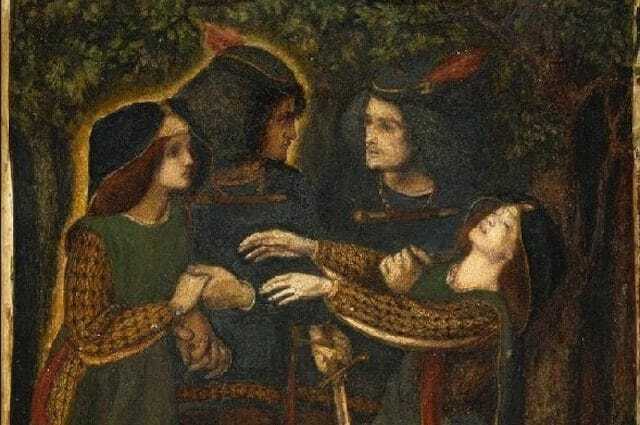 When many people hear the word doppelganger they think of something akin to an evil twin, or a clone. However, the term was originally coined to describe people who see themselves, and cannot realize that what they are seeing is actually just an illusion, and not another version of their own person. In fact, some scientists believe that many self-portraits back in the day were drawn by artists suffering from doppelganger illusions. These autoscopic phenomenon can take many different forms, such as when someone sees themselves in the mirror, but recognizes it as another similar looking person instead of their own reflection. 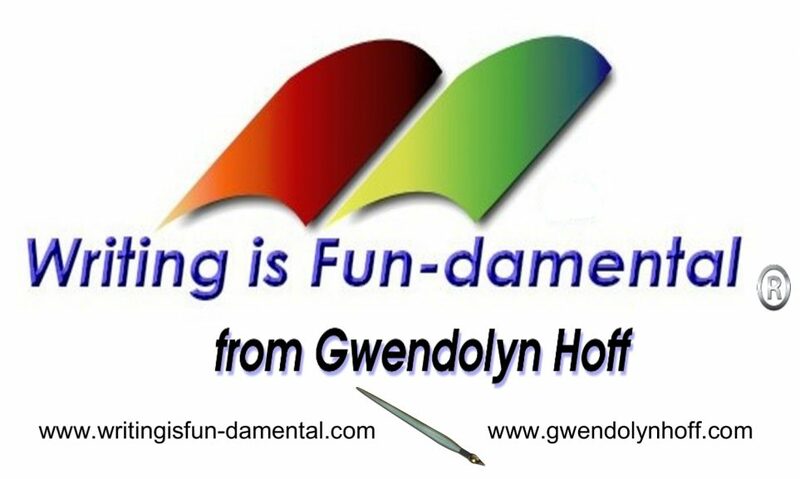 The phenomenon can range from full on out of body experiences, where people don’t see themselves as themselves, and can even include feeling a presence that convinces you another person is in the room with you. While many people may think this type of hallucination is only something that those with mental illnesses will have to worry about, that isn’t entirely the case. Under cases of sensory deprivation, these illusions have been found in even mentally healthy people. Awesome info! 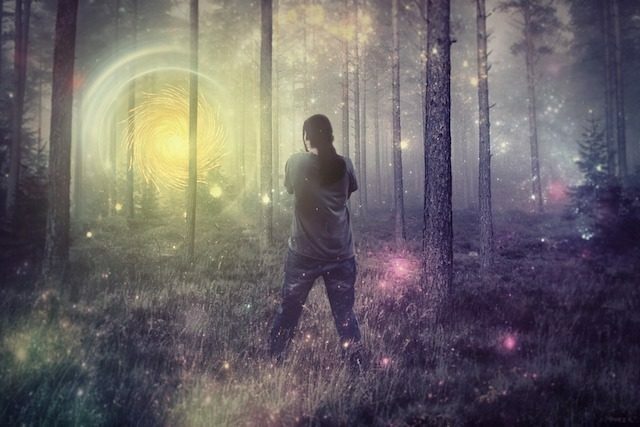 Hallucinations can lead to spiritual awakening and growth. If only our lawmakers saw it that way. I’m all for spiritual growth, but probably not THAT kind. Everything in moderation my friend. Thank you for stopping by on Wild Card Saturday!